It is really a rare occassion that I make it to the movies. I know, this is one of the ways that I may not be as relatable, but it is true. There was no school yesterday, though, and it was a rainy day so I found myself at the theatre to see The Grinch with my children and some of their friends. 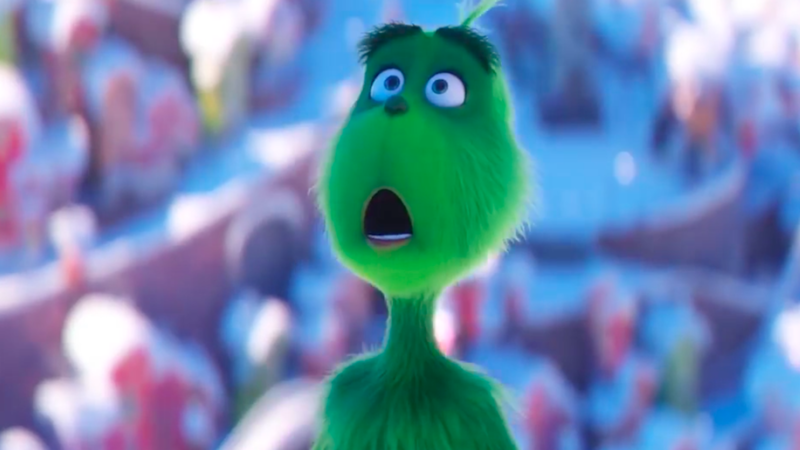 This version takes the usual story of The Grinch a little more in depth and gives us information that we haven’t seen in the previous movies. I think it really helped to develop the character of The Grinch. This version made it more apparent that Grinch is the way he is due to his past. I guess I have to say that had always been my assumption, but more so because he looked different than everyone else in Whoville. Well, turns out that there is more to it than just this. 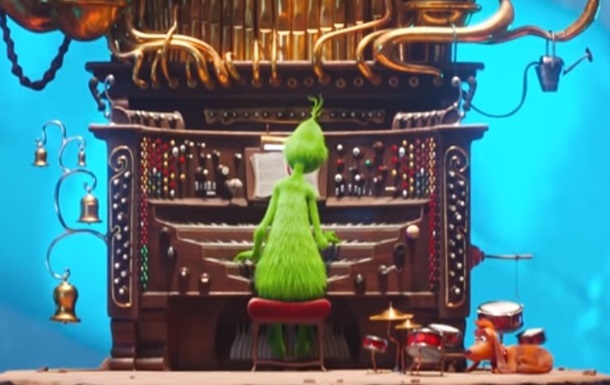 The movie shows that the Grinch grew up in an orphanage and was all by himself in this dark, depressing building while all the other Who’s celebrated Christmas with their feasts, presents, singing, and decorations. The Grinch felt all alone and decided that it would always be this way. He turned his back on the Who’s and on Christmas as he took off to his mountain where he built himself a (very cool) hideout. 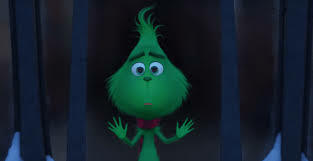 As I was watching the movie and how his heart grew 3 sizes due to the love and kindness of Cindy Lou Who, I also imagined the therapy session I would have with the Grinch that could have gotten him to the same point without him having to go through his whole plan to steal Christmas! You see, the Grinch just had to process his early childhood trauma so it no longer had a negative impact on him. As a child he had attached negative emotions of being hurt and unlovable to Christmas and the experience never processed in his brain. Therefore each time that he saw reminders of Christmas, the same feelings came up as if it was happening all over again. Here is a little bit of how I imagine that session going! 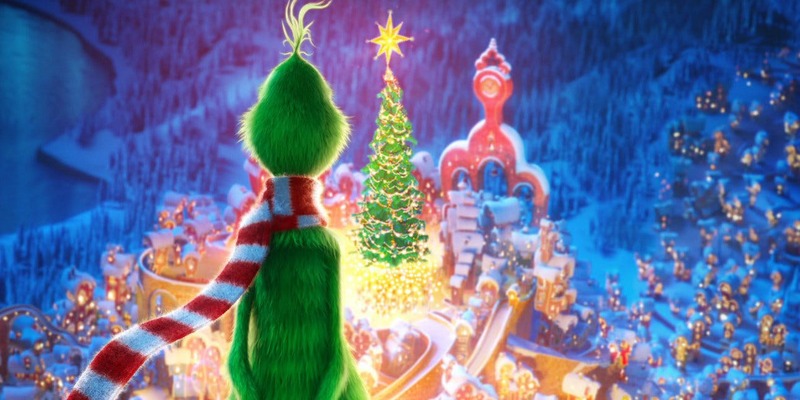 -Grinch has an image of the problem as him on his mountain as the Who’s are celebrating in the exuberantly decorated Whoville. When he sees this image he thinks “I am alone” and he feels sad, angry, and lonely. He reports feeling it in his heart and chest. -Grinch reports that he has an image of looking out the window at everyone celebrating. He has a negative belief about himself of “I am unworthy of love” but would like to believe “I am worthy of love” but doesn’t currently believe it. He feels sadness, anger, loneliness, and embarassment when he brings up the picture in his mind. He reports that on a 0 to 10 scale with 10 being the highest amount of disturbance he can imagine, this is a 10 and states, “I have revolved my whole life around avoiding this feeling again”. He reports feeling it in his chest. -EMDR is then started on this past situation and he begins to make statements that show he realizes now that it is all old stuff and it is no longer happening. He states that he was just a child and that the people he watched celebrating weren’t rejecting him but just didn’t know how to change the situation or help him. He states that he realizes it wasn’t about him or the Who’s and he should really be upset with the orphanage. In the end he reports that he feels neutral about the situation. -EMDR performed to increase positive belief. -We would then come back up to the current issue of him hating Christmas and would likely find that he felt much better about it. We would work through that target just as we did the childhood one. I would then have him imagine himself down in Whoville celebrating Christmas and having a good time, feeling included and loved, and being able to work through any things that might come up that made him feel like he wasn’t being included. Of course this is a completely fictitional session. Happy Holidays from Brevard Family Wellness Center, where we can help you clear your trauma so you aren’t a Grinch around the holidays as well!